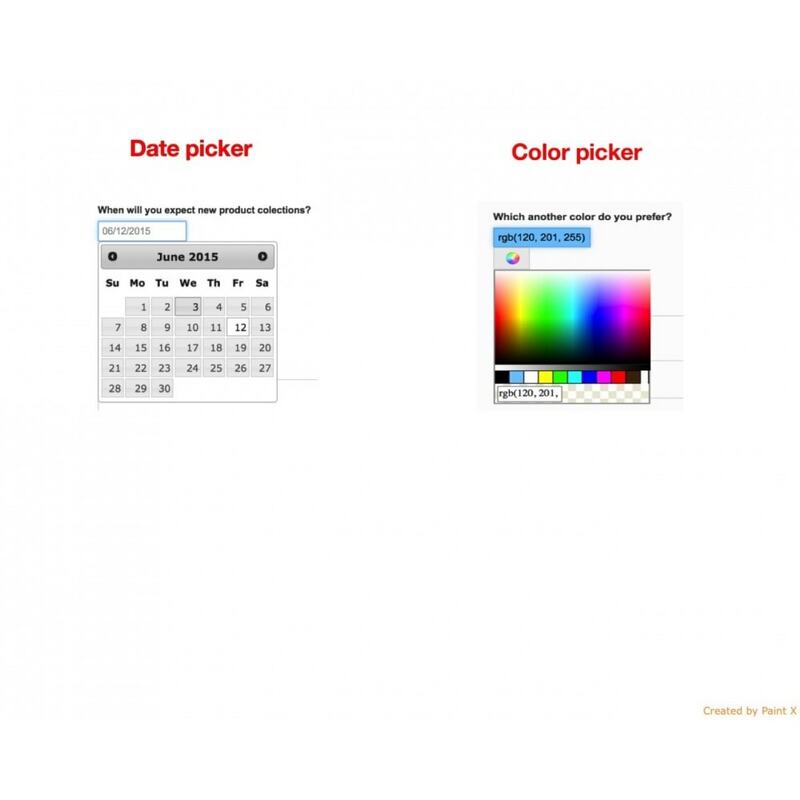 Module extending product customizations of checkboxes, radio buttons, dropdowns, date pickers and color pickers. 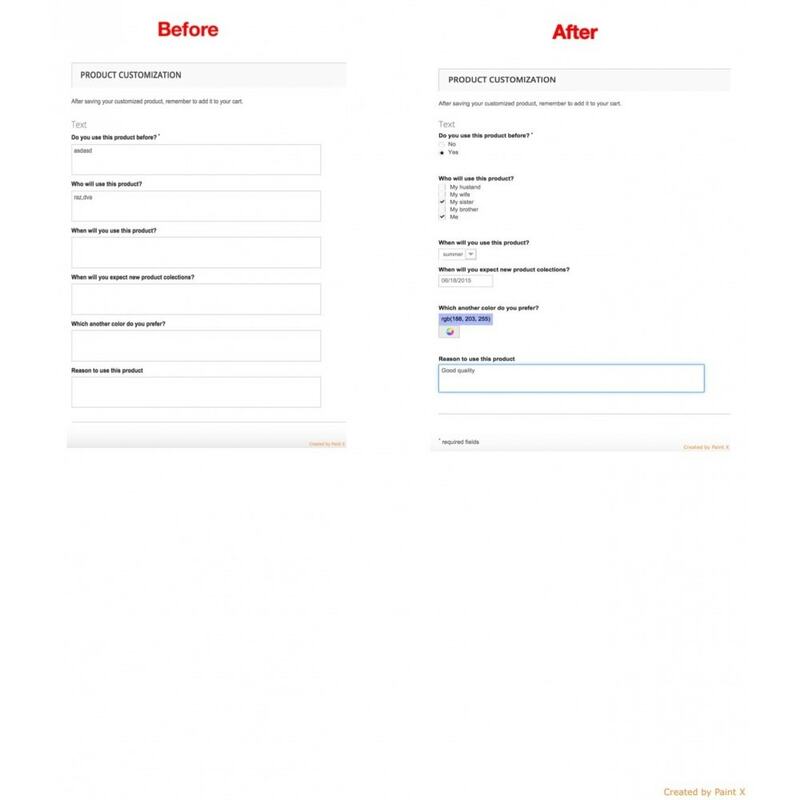 This module also allow to type long text in textfield for customers. Its powerful tool to create survey, enquiry, question sheet or get info from customer about your product. All these customizations could build for each product separately. Module is also allow to type long text in text fileds, which is limited to 255 characters in prestashop standard. 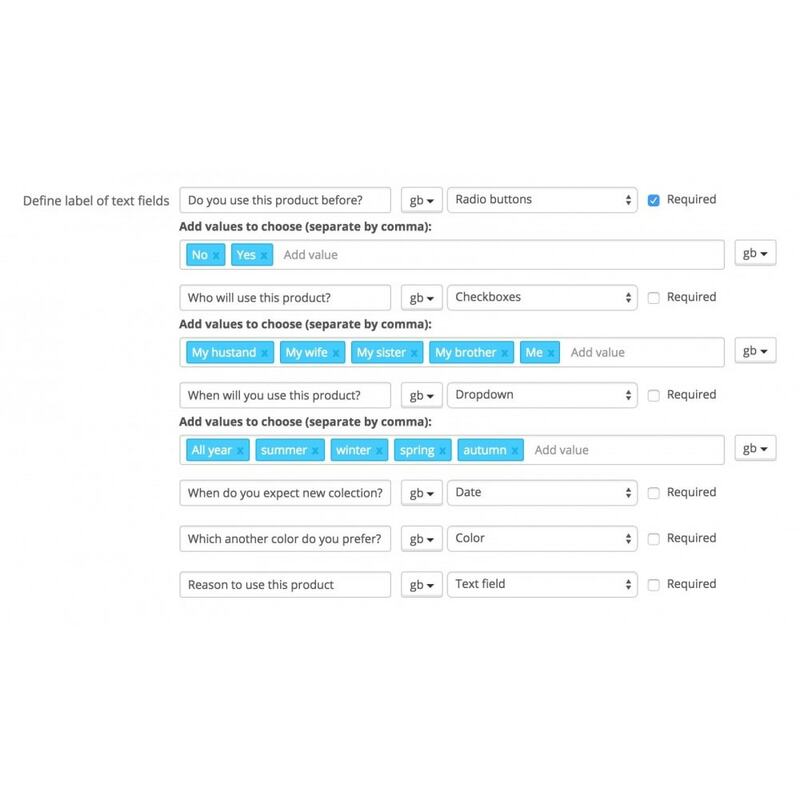 All filled values in these fields are part of the product in cart and order administration after product is ordered. Module is also very usable in virtual products. 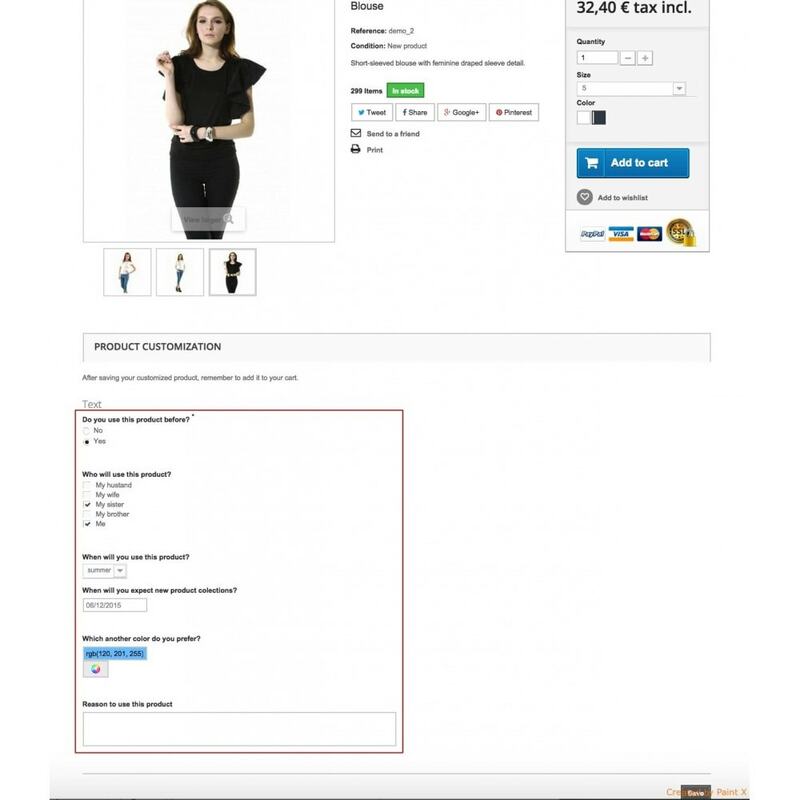 Virtual combinations enabler for Prestashop enables the creation of combinations for virtual products and allows you to upload an attachment (file) for each combination separately.